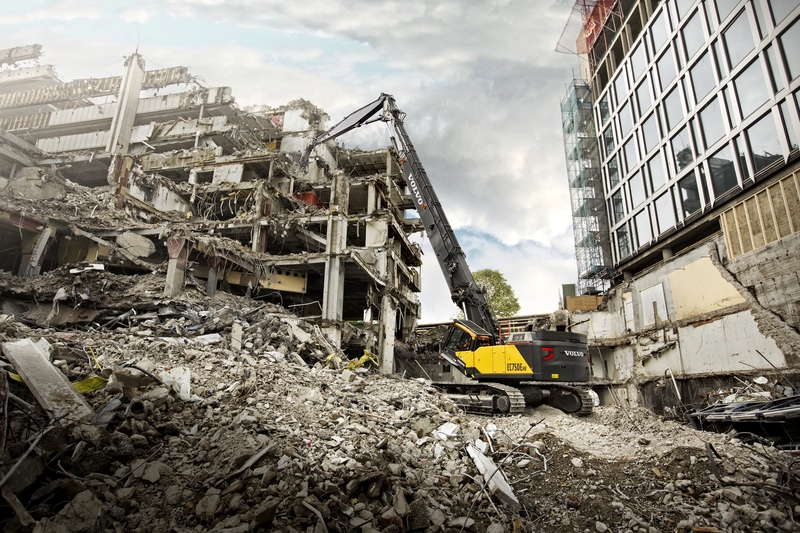 Imagine two identical excavators on the same job, tasked with the same work. While they may seem identical, after five years of use one will have a much higher resale value, will have burned far less fuel and required fewer repairs — all while accomplishing the same amount of work. So what’s the difference? Operator behavior. The person running the machine can significantly impact total cost of ownership. That means deciding to invest in operator training should be as simple as the decision to purchase a superior machine. Here are three key areas in which operators can impact total cost of ownership, as well as a few tips on reducing operating costs. 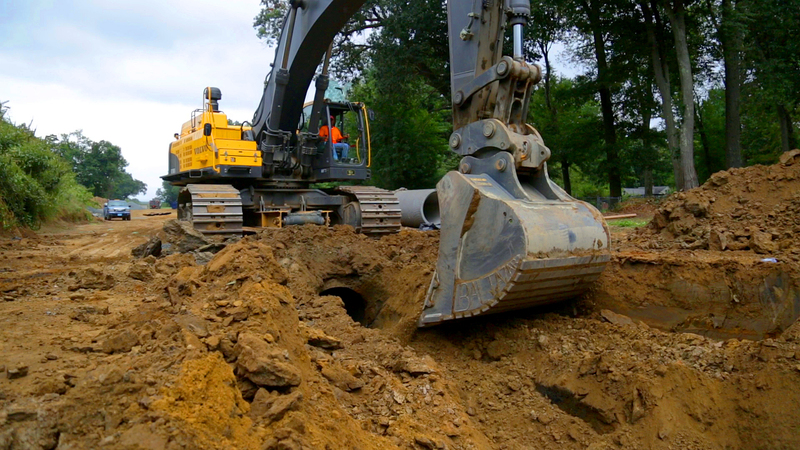 A good way to maximize jobsite fuel efficiency is to train operators on an excavator’s work modes. Many operators have a tendency to select the highest setting available, regardless of task. Often, however, the task could be achieved at a much lower RPM without any loss in performance or cycle times. Running at 200 to 300 RPMs lower could equate to a 10 percent reduction in fuel consumption. It’s also important for operators to be familiar with built-in fuel-saving features, such as auto idle and auto engine shutdown. If the features are set to engage after a predetermined amount of time, instruct the operators not to override the settings. Daily maintenance also helps. For instance, keeping the machine greased creates less friction. Smoother movements require less power and fuel. Regardless of operator behavior, Volvo does offer a fuel efficiency guarantee on many of our crawler excavators. One of the major ways to reduce wear and tear is for operators to begin each shift with a walk-around — checking filters and fluid levels, and looking for any leaks, damage or loose hardware. They should also make sure the excavator is clean. Rollers that have debris and cannot turn freely can freeze up, causing wear on the tracks. Don’t skimp on the grease. It’s cost-effective preventive maintenance that helps keep bushings, bearings and pins operating smoothly. Ignoring track tension can also be harmful. Loose tension can lead to excessive bushing and sprocket wear, and overly tight tensions can cause stress on the undercarriage. Train operators to let managers know when alarm codes and maintenance reminders go off to help avoid unplanned downtime and more costly repairs. Training operators to reduce idle time can slow depreciation and reduce maintenance costs. While it is not uncommon to have idle times as high as 50 percent, it is possible to cut that idle time in half in many cases — a reduction that could have an enormous impact on resale value. For example, let’s compare two machines — one with 50 percent idle time (Machine A) and one with 25 percent idle time (Machine B). Machine A is likely to run about 2,000 hours per year, whereas Machine B is closer to 1,500. Over five years, Machine A has 10,000 hours compared with 7,500 hours for Machine B. Machine B also would require around five fewer 500-hour service intervals over a five-year ownership period. This could equate to a $20,000 difference in resale value, depending on size class. A good operator-training program is one that includes ongoing monitoring by fleet managers to track progress. Telematics can also play a role in comparing operator behavior. For those fleet managers who do not have the time or resources to monitor this type of data, they should consider turning to a dealer or manufacturer who offers an active machine monitoring and reporting service, such as Volvo ActiveCare Direct. To learn more about our certified operator training programs, contact us here. 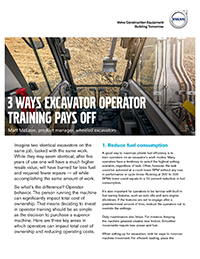 Interesting blog, good information is provided regarding Excavator Training. Was very useful, thanks for sharing the blog.